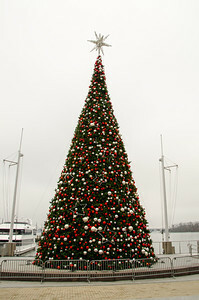 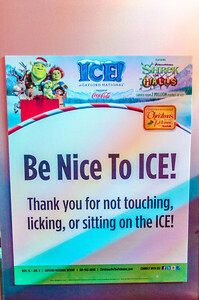 Helen and Donnie visit ICE, Shreck the Halls, at the Gaylord National in the National Harbor outside Washington D.C.
ICE Sign Sign at the entrance of ICE at the Gaylord National. 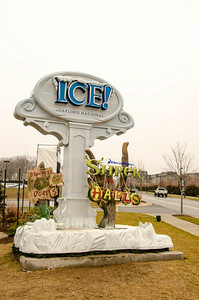 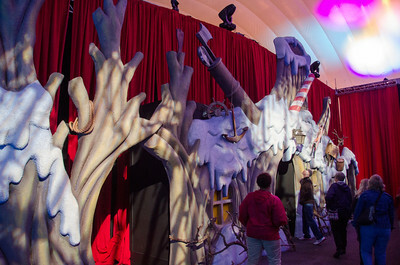 ICE Theatre Entrance Entrance into the threatre to hear the story of ICE at the Gaylord National. 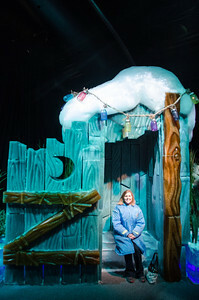 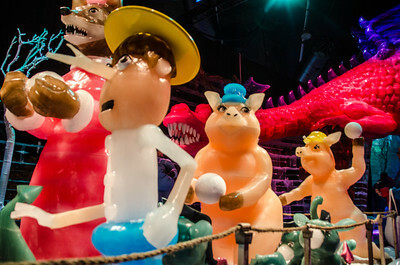 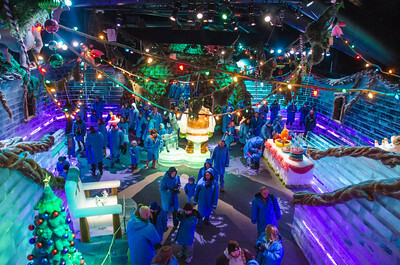 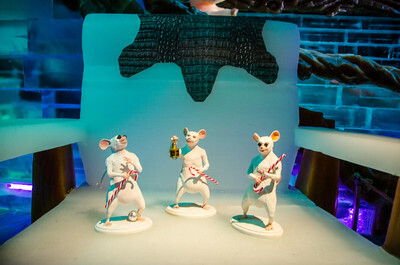 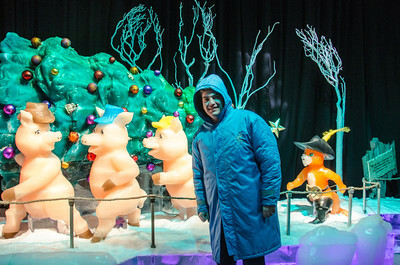 The Story of ICE Introductory video welcoming you to ICE, and telling the story of its creation at the Gaylord National. 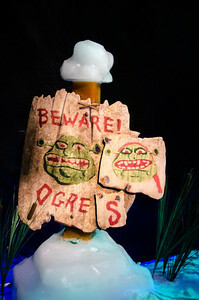 Beware of Ogres Ogres warning sign before entering ICE at the Gaylord National. 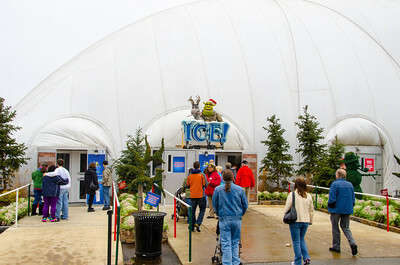 First room of ICE First room as you enter ICE at the Gaylord National. 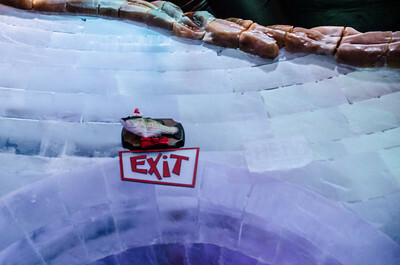 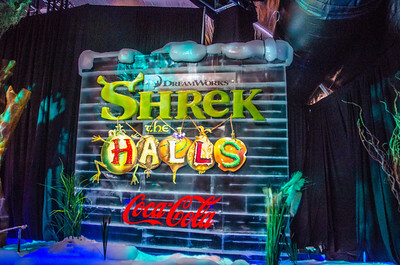 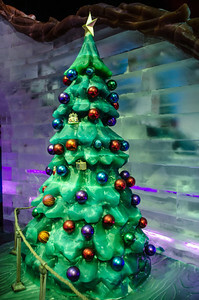 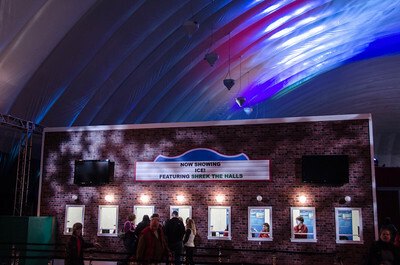 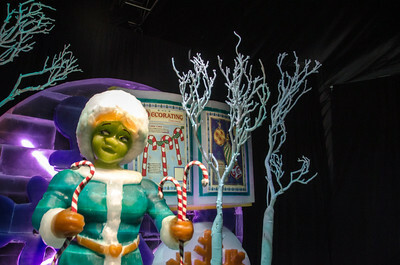 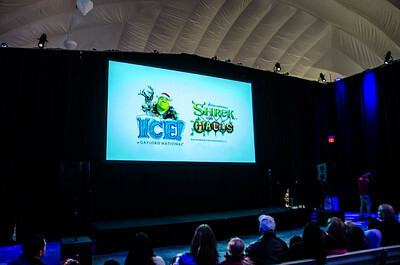 Shreck the Halls ICE Sign Shreck the Halls sign in the first room of ICE at the Gaylord National. 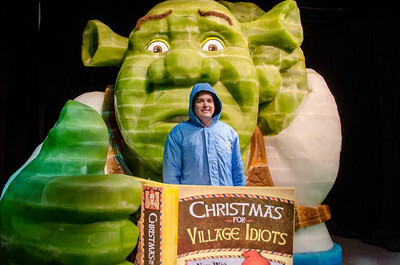 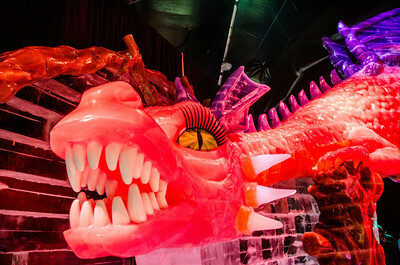 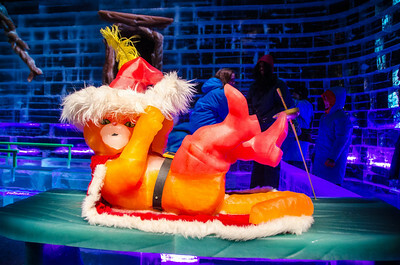 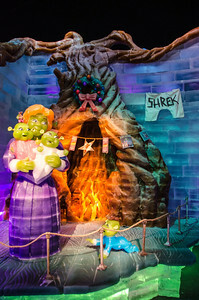 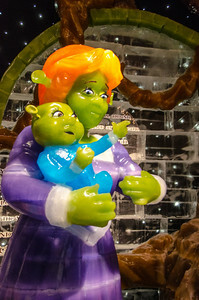 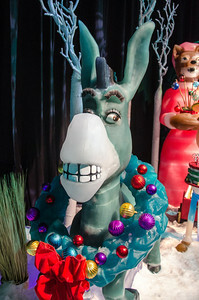 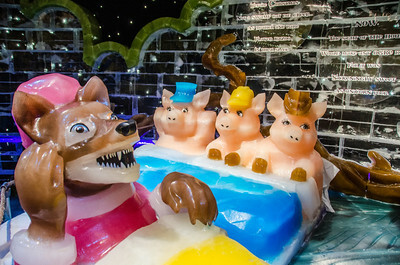 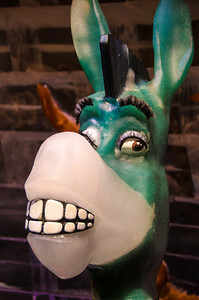 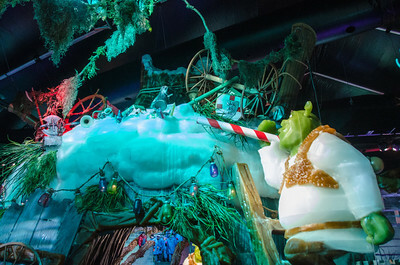 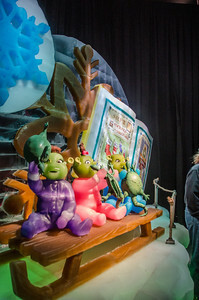 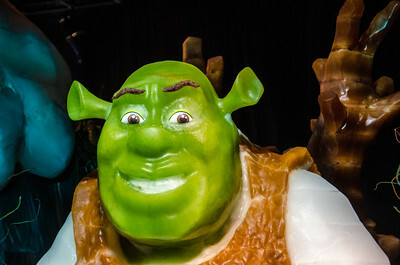 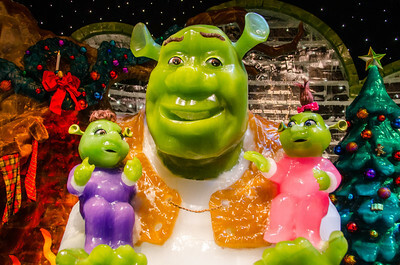 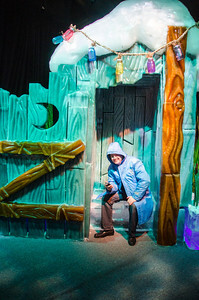 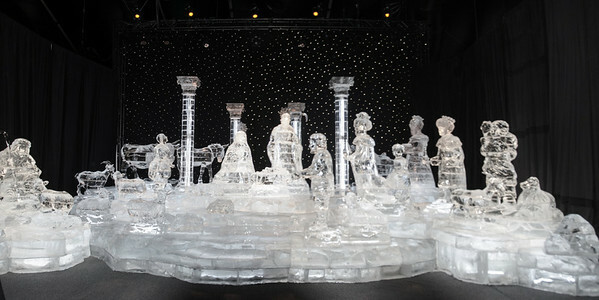 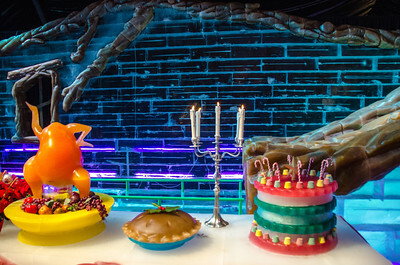 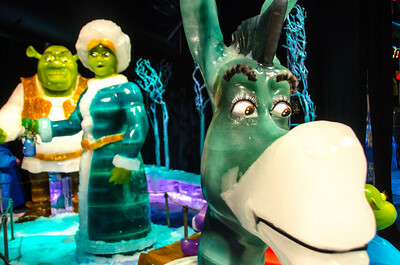 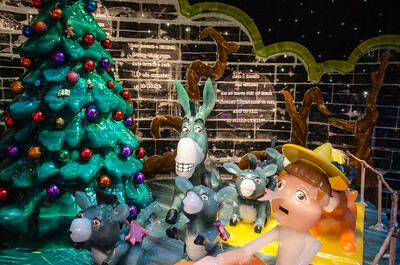 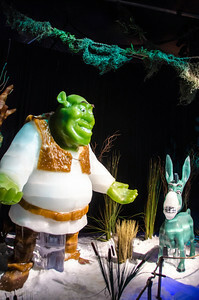 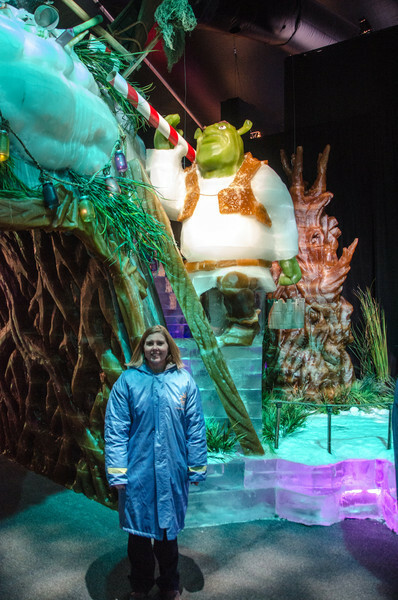 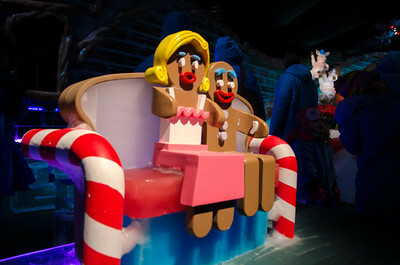 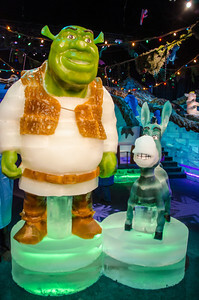 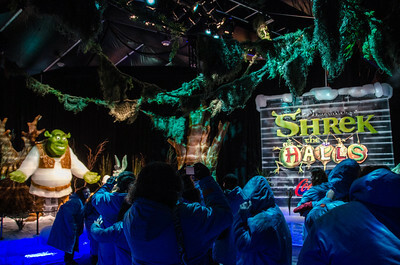 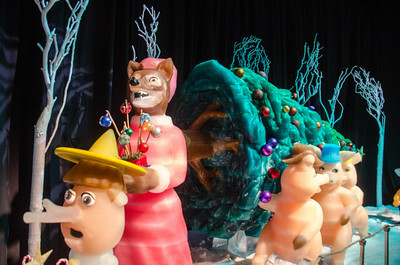 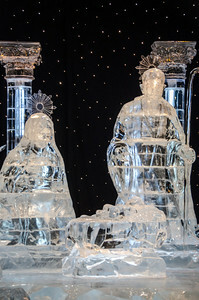 Shreck in ICE Shreck, hand-carved in ICE at the Gaylord National. 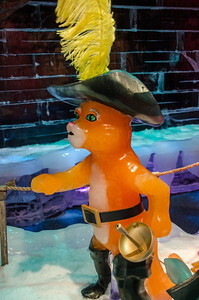 Singing Fish at ICE What holiday is complete without a singing fish somewhere.